Hello, Arama! Japan readers! We are excited to announce that we are having our fourth annual awards show! The 2018 Arama! 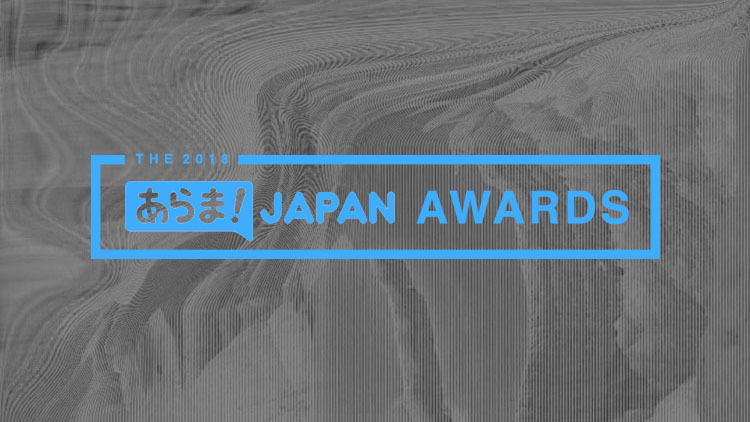 Japan Awards will be honoring the best in music, movies, television, anime, manga, and more this coming January! And the winners of these awards will be selected by you, the Arama! Japan readers! The first step of this awards show is figuring out who will be nominated. That is where you guys come! Since you guys are picking the winners, you should also be picking who is in the running to win. We are asking that you fill out a survey, telling us your faves in various categories during the period of December 1, 2017 – November 30, 2018. Voting during this round will be open for a week starting now, with the final nominees to be announced a few days later. Voting for the final round will commence after the announcement of the final nominees. Voting in every category is not mandatory. If you don’t want to vote in a certain category, feel free to skip it. And remember: NO ARASHI, IN ANY CATEGORY, AT ALL! They have graduated from The Arama! Japan Awards. Any Arashi nominations will be declared void, according to the wishes of Arashi themselves. The voting form is below!